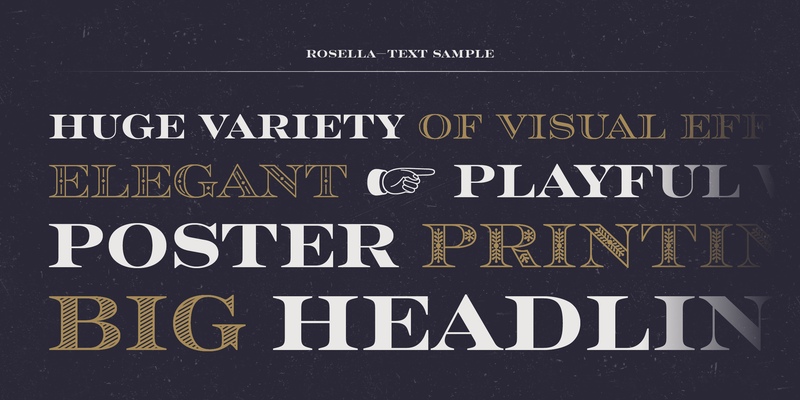 Harking back to the bygone era of the engravers of the late 19th Century, Sabina Chipară’s new design, Rosella™ is a delightful, and intricate collection of typefaces. Perfect for eye-catching packaging, posters and book covers. Understated but with a quiet confidence the Rosella family consists of six weights; Solid, Deco, Inline, Engraved, Flourish, and Hatched. The Solid style provides the perfect basis upon which to layer the other styles, adding an attention-commanding and memorable edge to any design work. Get 75% off the Rosella Complete Family Pack until December 6, 2017. From creating dimension to adding multiple colors, through to making things look just oh-so-pretty, a number of the fonts we offer are layer fonts and can be combined and overlaid one another to create different effects. 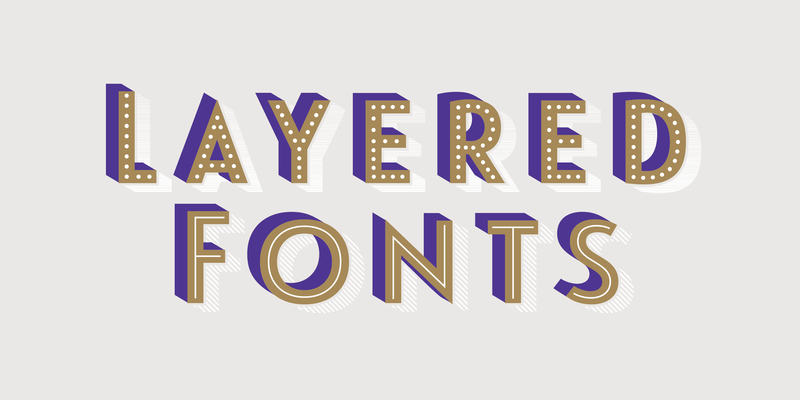 We’ve compiled a fontlist of our favorites.